Dr. Giordano Fanton, studied at the Scuola Normale Superiore in Pisa (Collegio Puteano) and graduated in 2003 in Medicine and Surgery at the “Università degli Studi” in Pisa, Italy. In 2007, he presented his thesis to complete his specialist studies in Ophthalmology at the “Università degli Studi” in Turin, and in 2012 was awarded a Research Doctorate in Clinical Sciences and Human Oncology. He is specialized in microsurgery of the anterior segment. His main fields of interest are refractive surgery and corneal surgery, cataracts, glaucoma and ocular traumatology. He has also developed a significant experience in the diagnosis of advanced ophthalmic diagnostics, particularly in A-B Ocular Ultrasound, High Frequency Ultrabiomicroscopy (Ubm), and in visual research. He has obtained various important international qualifications. In May 2010, he became a member of the European Board of Ophthalmology (FEBO). 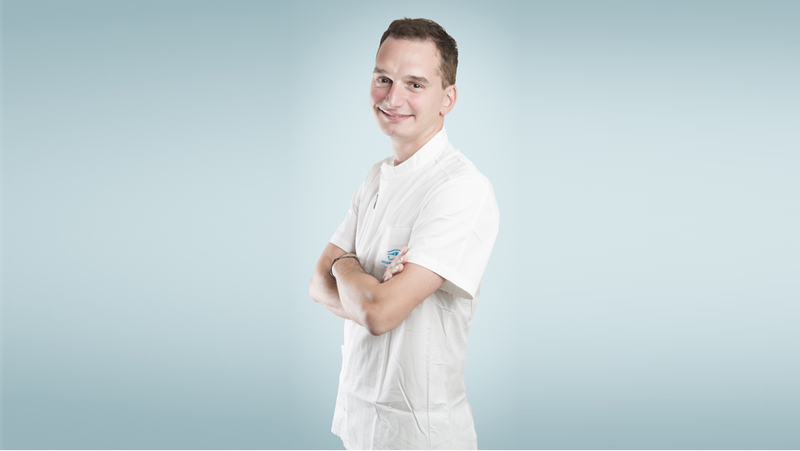 Since 2011 he has been involved in telemedicine and ophthalmologic telediagnosis, and has been Chief Medical Advisor at SolMed Tech srl. In December 2012, he became a member of the FMH (Foederatio Medicorum Helveticorum), and is registered in the Order of Doctors of Canton Ticino, Switzerland (OMCT). In October 2013, after completing his studies at the European School for Advanced Studies in Opthalmology (ESASO) at the “Università della Svizzera Italiana” (USI) in Lugano, Switzerland, he achieved the DiSSO (Diploma of Senior Specialist in Ophthalmology). In 2014, he became Head of the Ophthalmology Clinic at the Malpighi Diagnognis Centre in Chiavasso (Turin, Italy). In 2015 he became Head of the Ophthalmology Operating Unit at the Vialarda Clinic in Biella, Italy. Since 2013, he has taken part in a series of humanitarian missions as a volunteer microsurgeon in developing countries such as Congo, Libya and Madagascar. He actively collaborates with the Medici Volontari Italiani Onlus (a non-profit voluntary doctors' agency; MVI) of which he is a registered member.